Sushi Samba has been progressively global in its food and beverage offerings since its inception over 15 years ago in New York City. Taking inspiration from Japan, Brazil and Peru, the culturally diverse restaurant concept was ahead of its time from the outset and has managed to maintain its chic vibe by constantly evolving. From a single Manhattan location, Sushi Samba has expanded to include five units across New York City; Las Vegas; Miami and Coral Gables, Florida; and London. The restaurants are celebrated not only for their innovative cuisine, but also for their far-reaching drinks offerings and spirited designs. 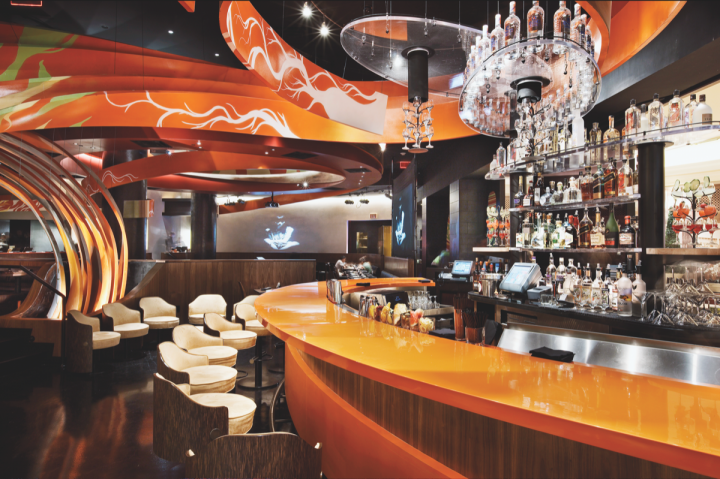 Samba Brands Management operates five Sushi Samba locations worldwide (Las Vegas unit pictured). Following a decade of successful operations, Sushi Samba’s management team began adding new concepts in 2010. Samba Brands Management now oversees a portfolio that also includes the South American venue Sugarcane Raw Bar Grill and the Mediterranean- and Italian-themed restaurant Bocce in Miami and the European eatery Duck & Waffle in London. All of the concepts put a heavy emphasis on design—focusing on a chic street vibe—along with dining and drinks. The beverage segment is crucial to the company’s success, making up 40 percent of the company’s total revenues. “All of our brands are geared toward a global existence, with an emphasis on food and beverage,” Bokovza says. “We strive to offer the most unique and authentic experience possible for our customers. Our focus on food, drinks, art and music creates a 360-degree experiential approach to dining out. Sushi Samba maintains an innovative cocktail program across all its concepts. Offerings range from fruit juice–driven classics and signatures to the Sambatini, which features a new recipe every month. Lesser-known spirits like shochu or cachaça often play a role. When Sushi Samba debuted in 1999, it focused on Caipirinhas, Mojitos and sake—drinks that were popular in Brazil, Peru and Japan, but didn’t have a huge following in the United States at the time. Today, those offerings remain top-sellers, and the restaurants have expanded to include other spirits and cocktails from around the globe. The company’s venues take pride in offering inventive beverage options. In addition, Sushi Samba’s inventive concoctions include the Chucumber, made with Iichiko shochu, St-Germain elderflower liqueur, muddled cucumber and lime; the Samba Juice, comprising Bacardi Razz and Grand Melón rums, DeKuyper Crème de Banana liqueur, passion fruit purée, açai, watermelon and guava; and the Brisa Caliente, a blend of Tres Agaves Blanco Tequila, Domaine de Canton ginger liqueur, mango nectar, lime, passion fruit and serrano chili (drinks average $13 to $15). The company’s most recent drinks innovation is a line of culinary cocktails that combine drinks with food, created collaboratively with the concept’s executive chef. Popular selections include the Kobe Old Fashioned, made with Yamazaki 12-year-old whisky that’s been fat-washed with high-grade Kobe beef and stirred with maple syrup and salted caramel, and the Tom Yam, comprising coriander-infused Reyka vodka, ginger syrup, lemon juice, kaffir lime leaves, fresh coriander, and red and green chilies, served with turbot nigiri. 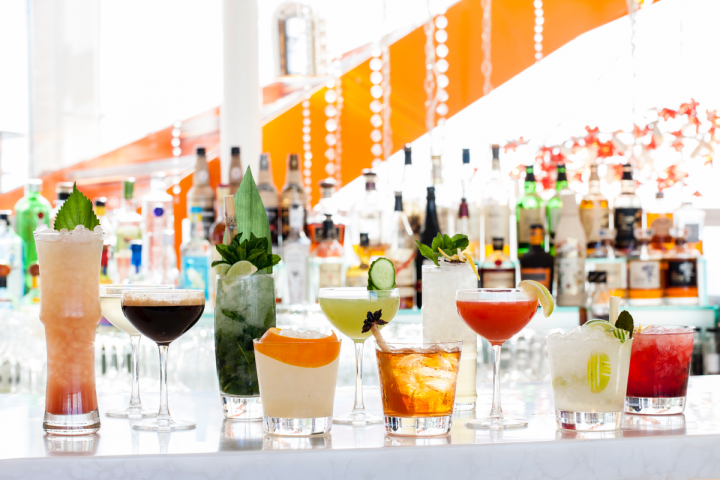 The drinks are only available at the London Sushi Samba, but the company expects to launch them stateside later this year. Miami’s Sugarcane Raw Bar Grill serves South American fare and offers a raw bar. To further help guests demystify sake, the restaurants offer a monthly Sushi & Sake 101 class. Participants learn about the different types of sake, along with its history and production methods, and they sample five labels paired with light snacks. The class also offers lessons on sushi. Miami’s Bocce restaurant offers a regional Italian menu with both contemporary and traditional dishes. Barrel-aged cocktails, house-made spirits and an Italian-heavy wine menu dominate the bar. The venue also features a bocce court. Sushi Samba’s food menu aims to emulate global street fare with a stylish and upscale flair. The restaurants offer an array of food categories, from Japanese small plates, sushi and sashimi to Latin ceviches and traditional Peruvian grilled meat and vegetable skewers (food ranges from $8 to $44). Standouts include Yellowtail Taquitos served with avocado and roasted corn miso; Miqueca Mista, a large dish of shrimp, squid, sea bass, mussels and clams with coconut milk, dendê oil and chimichurri rice; and the El Topo roll, made with salmon, jalapeño, shiso leaf, red onion, fresh melted mozzarella and crispy onion. 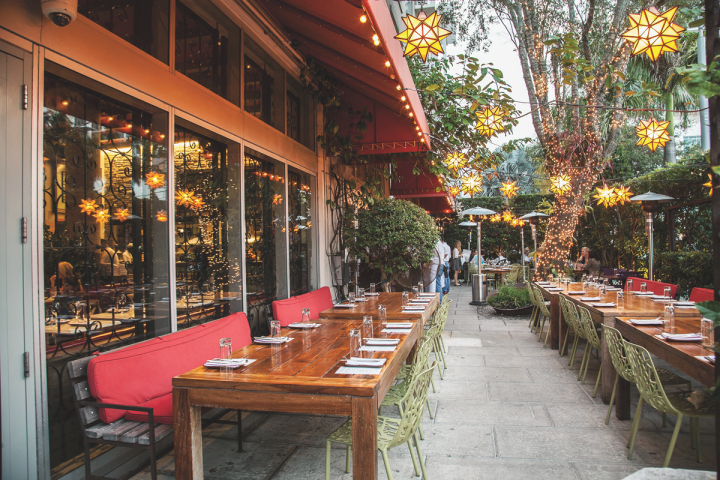 Samba Brands Management’s other U.S. restaurants—Bocce and Sugarcane Raw Bar Grill, both in Miami—also feature a cultural, street vibe. Sugarcane has international influences with a South American slant and features robata fare, a raw bar and hot entrées, as well as an extensive rum collection. The venue offers myriad mixed drinks, including cocktails made with beer and sparkling wine ($11 to $13). Named for the Italian ball sport, Bocce has roots in the Mediterranean and features a regional Italian menu with barrel-aged cocktails ($12 to $13) and several house-made spirits. 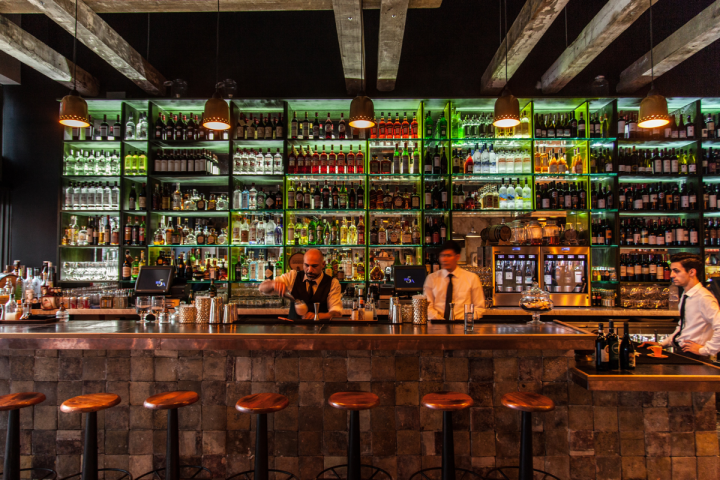 The venue also boasts a bustling wine menu with more than 100 Italian labels and Enomatic machines for glass pours. Rounding out the company’s portfolio, Duck & Waffle in London celebrates its location with a British-themed menu of small plates designed for sharing and a creative drinks list that includes savory ingredients, from tomato consommé to bone marrow. The venue is located atop a 40-story skyscraper and claims to be the most-elevated restaurant in the United Kingdom.